What is the Healthy body Weight for your age? Should not one of the pleasure of aging be finally forgetting about your weight and simply enjoy good food ? In fact, as a senior you must not ignore about weight management, and it is more challenging because of the body changes when getting older. Nutritional requires adjustment as you getting older, also you might find throughout your elderly years that you have to start fighting the battle of the bulge. It’s much simpler for seniors to have faster weight gain and more harder to lose it. You may perplex that the pants that fit you perfectly few months ago are now no longer suit you any more, and few extra walk or extra exercise don’t seem to shed off those extra pounds! Although you have not change your normal diet habits but your body keeps changing. To prevent weight gain as you age you should lower the calorie intake, you will be putting more pounds if your body has more calories than it needs. Research shows the regular physical exercise activity will prevent depression, boost memory, improve balance among people of age over 65. As an elder, the routine exercise may be difficult or you may just not getting as much as daily activity as you use to be. A arthritis soreness or other health problems seem to be a very good excuses for skipping exercise, but by being sedentary you actually doing more harm than good to yourself. What should be your Healthy weight? It is tough to maintain a healthy body weight as a senior especially your aging body is not working in your flavor, so how can you you achieve a healthy body weight? First of all, let’s figuring out how many calorie you need for a day to maintain your ideal weight and make necessary adjustment as needed. For inactive Men of age 50 or over, the needed calories per day is about 2000 calories, moderate active men require 2200 to 2400 calories, And a very physical active men need about 2400 to 2800 calories. For Women of age 50 or over who are inactive without any exercise only need about 1600 calories a day. An very active woman will need about 2000 to 2200 a day, and for those at average activity levels are at about 18000 calories. Keep those basic calories number in mind, and then achieve your daily needs by eating healthy foods. Try to change your diet and stay satisfied and full while still losing weight. Eat fiber rich foods, limit fat and salt intake, choose lean meats, fish , chicken and drink a lot of water. Walking is a good exercise for seniors. Walking gives you amazing health benefits such that you think of it as a miracle cure. Medical research shows that walking reduces your risk of diabetes and stroke by 50 percent. It also reduces your cancer risk by 20 percent and your heart disease risk by 40 percent. Besides the reduction in health risks, walking also gives you an energy boost. On the surface, you will get tired when you walk for long distances, but after resting, your body will be rejuvenated and ready to take up any work that you need to accomplish. Walking helps to clear your head so that you can focus on finding solutions to the challenges you are facing. It is indeed a miracle cure, and now you can get timely and accurate results of your walking experience by using the Smart Health Walking Fit. The Walking Fit is best device for tracking your health improvements and it is worn on the wrist. It helps you count the number of steps that you take, the calories that you burn, the miles you cover and your heart rate while you walk. You can use it when you are exercising and when you are just walking for errand purposes. In fact, it is meant for wearing on all occasions when you are awake so that you can measure all the steps and their resultant health benefits throughout the day. 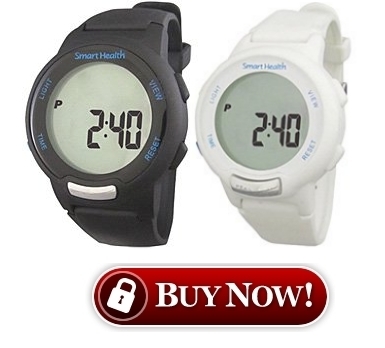 The device also function as watch, thus you have them as your watch replacements with big display screen and simple button interface it make it very easy to see and use for seniors. The device requires no complicated setup. it start working as soon as you strap it on your wrist. The Smart Health Walking Fit device can measure the number of steps you take in a day, also it monitors heart rate. 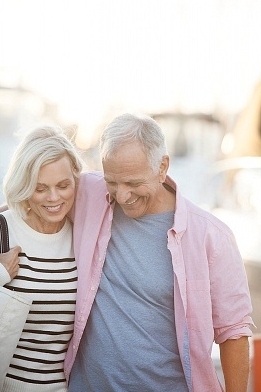 The recommendations on the ideal heart rate for your age, allows you to adjust your walking pace together with that of your partner to match the best rate range. Having the right heart rate gives you the most benefit out of your cardiovascular exercises. With this feature, you will know when you need to pace up or slow down, as well as having an idea of how much distance you need to cover in a day. In addition, the daily changes you see on your wrist will encourage you to keep on exercising to see more transformations on your health. Now you can measure the exact benefits of parking further away from your usual spot and walking the extra distance at work or when you are shopping. The more exercise you get, the better you’ll feel, and the easier it will be to maintain your healthy body weight. Get Moving! Keep walking and stay healthy.